If you’ve been hurt and need help, you need an experienced San Jose personal injury lawyer to help you navigate the maze of insurance companies, medical bills, and attorneys looking to prevent you from getting the settlement you deserve. Personal injuries generally fall under two broad categories; automobile accidents and slips and falls. When these events occur and you’re harmed by the negligence of another person, you may have a personal injury claim. Under personal injury law, you may be entitled to payment of your medical bills, compensation for lost wages, and payments for pain and suffering and mental anguish. When working through a personal injury claim, there are several questions that you need ask your San Jose Personal Injury lawyer and have answered to ensure you’re getting everything you’re entitled to. Does a Bodily Injury Claim Include Medical Bills? Damages due to bodily injury include medical bills. 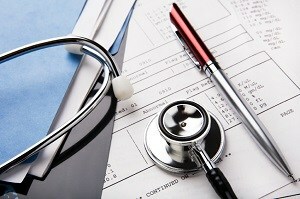 Medical bills encompass bills for immediate treatment, plus any anticipated future medical bills due to the injury. For example, if you are hurt by tripping over something in the aisle of a store and break your leg, your bills for the ER and immediate orthopedic care are covered. Future physical therapy as well as expenses for any future medical bills as a result of the fall can be covered. Will My Insurance Company Be Reimbursed from My Personal Injury Settlement? If you are injured in an auto accident, your personal health insurance will pay your immediate medical costs. The majority of health insurance policies have provisions for repayment in the event of a settlement from a personal injury claim. Am I Permitted to Receive a Copy of My Settlement Check? Every ethical San Jose personal injury lawyer will provide you with a copy of your settlement check. It’s your right to review the settlement breakdown sheet before the check is deposited on your behalf as well as to receive a copy of the check. Typically, the insurance company paying the settlement will make the check payable to both yourself and your attorney, so you will need to sign the check so it can be deposited by your attorney into the firm’s trust account. Your lawyer should provide you with a copy of the settlement check and any other checks issued by the attorney from the settlement. If they don’t offer copies, ask. I Have an Annuity from My Auto Accident Settlement. Can I Get Out of It? The short answer is probably not. Insurance companies like to pay out settlements in the form of an annuity since this lets them fund the settlement over time, rather than all at once. Since the annuity was agreed to by the court as part of the settlement, you will need to petition the court to set aside the annuity. This is rare, however. Another solution is to seek out a company that purchases annuities that are part of a structured settlement and have them buy your annuity. These companies generally pay 20 to 50 cents on the dollar when they purchase your future payments. If you have an annuity that is due to pay out an additional $100,000, you may only receive $20,000. While you will get money up front, you lose over 75 percent of the remaining value. My Child Received a Settlement. Can I Access Their Money? Parents usually can’t access their child’s funds. This is done to protect children from parents who may not have their best interests at heart. The court generally puts the money into an account that can’t be accessed until the child turns 18, with the exception being made for withdrawals for the child’s care and well-being. For example, a child is injured in an automobile accident and sustains a significant head injury. Withdrawals can be made for the care of the child if they require an additional stay at a rehabilitation hospital. Will My Lawyer Settle My Case without My Consent? This depends on the agreement you signed when you retained your lawyer. You can sign an agreement that allows your attorney to settle the case and receive funds on your behalf. However, if your agreement requires your permission to settle and your attorney didn’t consult with you, stop the proceedings if you don’t like what’s being presented. If a check was issued, it can be returned. Do Lawyers Receive Their Fees Before or After Medical Expenses Are Paid? This depends on the retainer agreement you signed. It should explain how fees are paid. Some fees are calculated on the gross settlement before any expenses are paid, and some are calculated on the proceeds after expenses, which is a “net” settlement. Your San Jose personal injury lawyer should explain how the fees are calculated before you sign the retainer. Is There a Minimum Settlement? There are no minimums or maximums. Your settlement will depend on the nature and severity of your injury, the economic impact of the injury in terms of lost wages and medical bills, and how long your recovery is expected to take. What Is an Average Contingency Fee? The contingency, or attorney’s, fee is always negotiated based on how complex the case is. In California, a typical fee is 40 percent of the settlement. While this may seem high, take into account the experience of your attorney. Is it worth it to pay 40 percent to an experienced San Jose personal injury lawyer or less to someone fresh out of law school? If you believe you’ve been injured in an auto accident or due to the negligence of another person, you should contact one of the experienced Personal Injury attorneys at Costanzo Law Firm at 408-993-8493. Having a knowledgeable San Jose Personal Injury lawyer can help you get the best settlement to meet your needs.